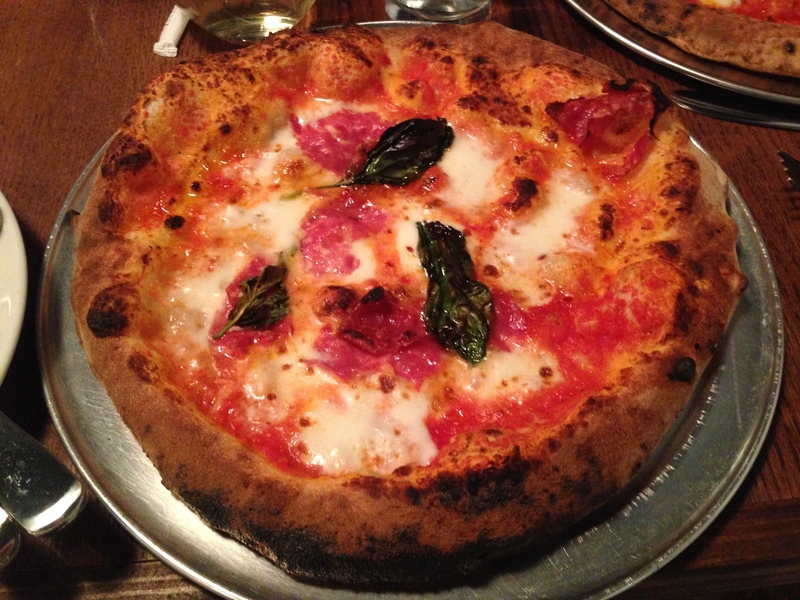 Winston-Salem’s New Favorite Pizza Place: Mission Pizza Napoletana Opens Tonight! The last time I was with my best friend, LP, I asked her an important life question. If she could eat one type of food for the rest of her life, what would it be? Immediately, without hesitating, she chose pizza. And I chose sandwiches. I mean, I love sandwiches. I want to eat those forever. Don’t get me wrong, I love pizza, too. But pizza is just pizza, right? At least, that’s what I thought before I actually got to try Mission Pizza Napoletana. But let’s back up a bit. To when I saw the Mission Pizza Kickstarter campaign last summer. That’s where I first heard about how Peyton Smith of Forno Moto was going to bring some crazy newfangled pizza to this town. Pizza we’ve never even dreamed about. And again, I was like “Whoa, guy. Pizza is just pizza.” It’s like the old Jim Gaffigan bit about how all Mexican food is the same. Tortilla with cheese, meat and vegetables. But it’s so absolutely, totally not the same. How you make it matters. And what you put on it definitely matters. Mission Pizza has this amazing oven. This hand-built brick oven that cooks pizza at 1000 degrees in minutes. And they’re putting together delicious pies in it. And because I am a fancy person friends with the person who made their Kickstarter video, I got invited to their soft launch on Wednesday. This was their first real night serving people. (The restaurant was so new the tables still smelled like varnish. Bless.) The atmosphere was electric and with good reason, Peyton and his team have a good thing going. The interior is clean and cool, the waitstaff is fun and friendly, and the food is excellent. The menu may change a smidge between soft launch and open, but I believe the gist will remain: pizza, plates (salads/apps/etc. ), beer and wine. Evan, of the Kickstarter video making fame, ordered this pork belly as an appetizer. And an appetizer it was not, but delicious it was. 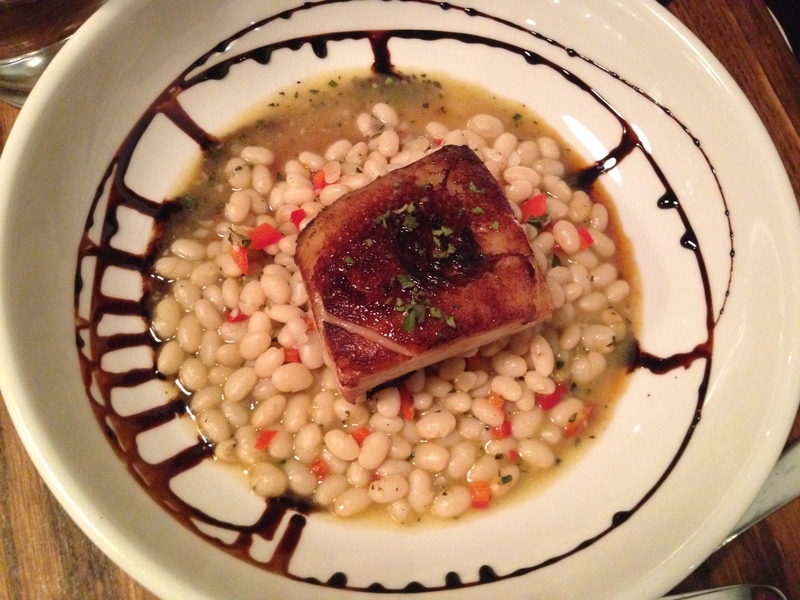 The white bean ragu and balsamic were hearty with a hint of sweetness. Don’t think, just eat this. I ordered the Soppressata pizza, which our waiter recommended. The crust was thin and crispy, the basil was charred and smoky, the soppressata was sweet and the mozzarella creamy. They say the simplest foods are the hardest ones to do perfectly, but that was not a problem here. Evan’s fiancee/my friend Lauren kept saying that her pizza felt refreshing—it wasn’t a heavy, dense pie that you’d need to take a nap after. This is a pizza you could have before a night out. 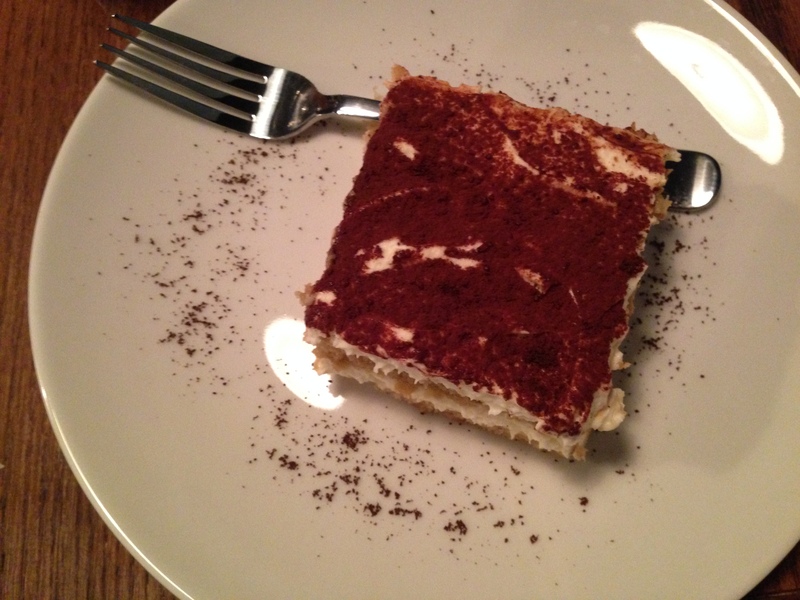 Lastly, I SHARED the tiramisu with my friends. 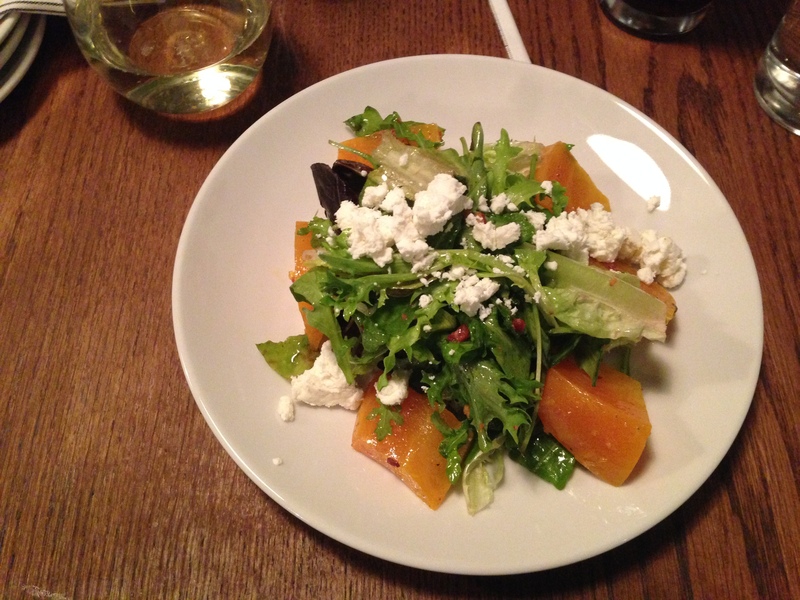 (I shared the other things too….but, I didn’t share that much cause it tasted too good.) I love tiramisu. I love the creaminess of the mascarpone next to the soaked ladyfingers. (Soaked ladyfingers just sounds disgusting when you type it.) And this one was one of the best I’d ever had. It was light and fluffy. The perfect last bite. Tiramisu to share. Or not. In short, I stand corrected. A pizza isn’t a pizza isn’t a pizza. And, a sandwich isn’t a pizza, either. So, if I can only eat one food for the rest of my life, I think I’d like to change my answer. Go check out Mission Pizza Napoletana starting tonight! 707 North Trade Street. Regular business hours are Monday through Saturday, 5-10 pm.